TIM Tszyu is ready to prove he's his own man. The 22-year-old from Sydney may bear one of boxing's most famous last names but he's hellbent on his first name becoming just as memorable. It was December last year when Tim made headlines by deciding to follow in his famous father's footsteps by becoming a professional boxer. The similarities between Tim and Kostya are striking and while Tim is proud of his father's long list of achievements in the ring, he's ready to carve his own path. "I have had so much attention already and the hard thing is to pull away from all of that," Tim said. 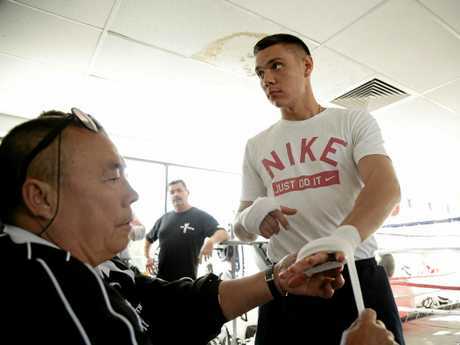 "It's hard for people to say that's not Kostya Tszyu's son anymore, that's Tim Tszyu. "It's now slowly starting to happen. "When I first started everyone was referring to me as Kostya Tszyu's son, now I get people on the street saying 'hey, you're Tim', so everything is changing." It's easy to think that it's his name alone that has garnered so much attention in such a short period of time and while that's true to a certain extent, those who have followed his career so far can attest to the raw potential he wields in the ring. 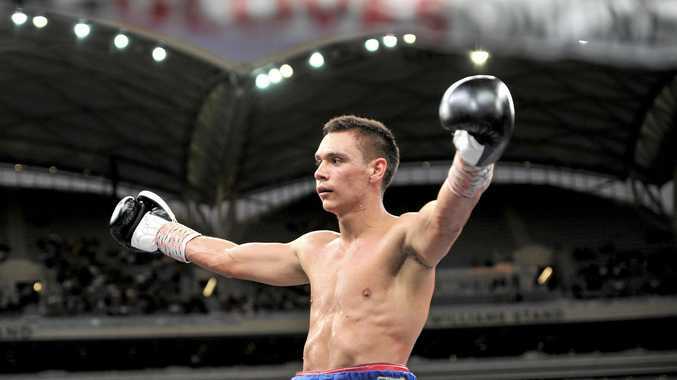 Sporting a 6-0 record, Tszyu has stopped all but one of his opponents and has looked like one of the hottest prospects in Aussie boxing in doing so. It's clear fighting is his blood. 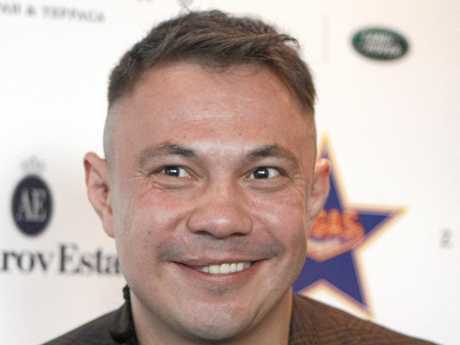 "I grew up with boxing," Tszyu said. "I knew how to box from birth. "I remember there's a big picture, a portrait on my wall of me holding boxing gloves when I was like one or two years old. "Before I knew how to walk I knew how to throw punches." Tszyu is wasting little time throwing punches as a professional. He is set for his seventh fight in just 10 months when he faces Wade Ryan for the WBC Asian Boxing Council light middleweight title at Sydney's Star City on Saturday. The title itself means very little in the grand scheme of things but it's viewed as the first real step up in class for Tszyu. He's confident that his hard work and dedication to the sport will see him through. "I'm really looking forward to the fight," Tszyu said. "Everyone is saying it's going to be a tough test. "He's a tough boy and he's had more fights than me but if you train hard and put your mind to it, you can make a tough fight an easy one." Tim admits it would be silly not gain every piece of expertise he can from his father, who now lives in Russia. "We always stay in contact," he said. "My dad is like a best mate to me, it's good to get advice from him. "For example, with this fight there are things we've spoken about that we can work on in training. He's probably the best mate I could ever have." For most boxers, a world title is the pinnacle of the sport. Tszyu has set his sights even higher. "There's small goals that are leading up to my ultimate goal," he said. "A world title is something I'm dreaming about but my ultimate dream is to go to the same heights that my father reached in his career. "A lot of fighters become world champions but then there's only a small percentage of boxers, even ones that are world champions, that go to the next level of greatness. "I'm going step-by-step and goal-by-goal but my ultimate goal is to get into the Boxing Hall of Fame." Listing such an ambitious goal can sometimes be viewed as arrogant but Tszyu detests the bravado-driven narrative often attached to boxing. 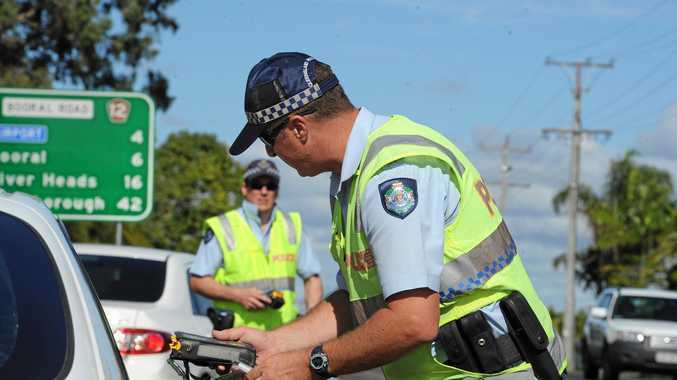 His attitude is distinctly Australian and one that is likely to garner him a fair deal of respect among local fans. "I just want people to enjoy the sport," he said. "I want to put boxing back on the map in Australia and in Russia in the future. "I also want to be a good role model for the next generation. "I don't want to run my mouth, I don't want to be like most American fighters that talk trash, I want to be well-respected and a good influence." Whether or not he can match his father's feats remains to be seen but Tim Tszyu is on course to break free of the shadow and make his own name one to remember.